Thomas Cook Airlines. Put simply, they don’t care. I’ve tried several times to get a response to my complaint to Thomas Cook Airlines. They’ve responded once, but it was no more than a courtesy mail saying that they’rd forward my mail on. The reason why I’m bringing this up? It’s because, in the last few months, the Swissport baggage handlers at Birmingham Airport have been nothing short of useless. The airlines have done nothing about this, and continue to employ them. Massive delays and an apathy amongst staff experiencing this daily … it’s just as if nobody can be bothered. So, after getting no real response for 6 weeks, I’ve decided to put my experience out to the public via my blog. As part of this, I’ve written to Birmingham Airport and to the baggage handlers, Swissport. Swissport haven’t responded either, but to be honest I’m not surprised. Their customer service agent insulted my wife and gave me nothing short of a verbal tirade of garbage. Anyway, I made a complaint to Thomas Cook and they told me “We have up to 28 days to look into this for you but our aim is to contact you within 14 days”. My booking reference is 2777312 and the airline reference is RCGOGY. I was flying on July 30th from Birmingham to Larnaca. I realise that these stories can get a bit long-winded and will therefore keep this to bullet-points. 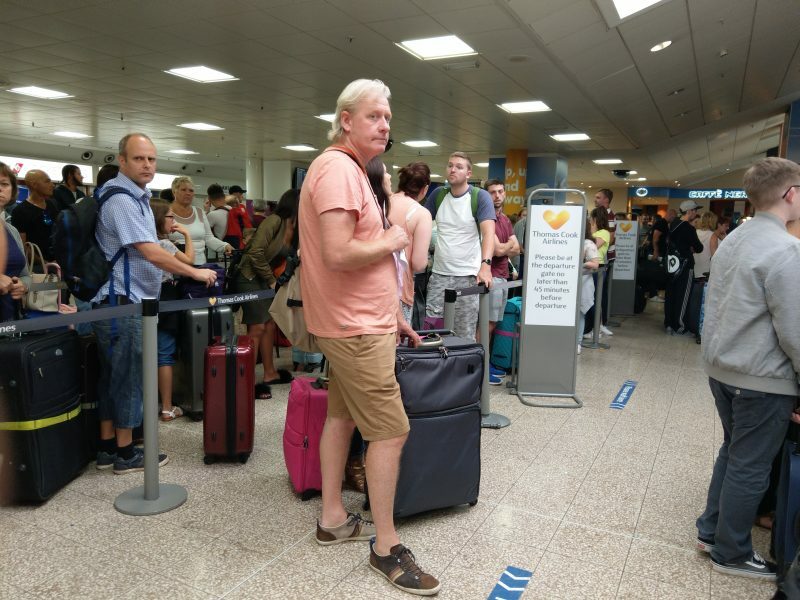 1 – We arrived at the airport and found quickly that all of the Thomas Cook flights were being booked in from the same set of desks. We were funnelled into a very long queuing system and spent around 30 minutes waiting. This wasn’t out of the ordinary, but the queue slowed quite a bit as we go towards the front. It was only at this point that we noticed how many bags were still say on the scales at the check-in desks. 2 – With lots of bags to check in (there was a number of us), we waited around 10 minutes for the first one to move onto the luggage belt. We noticed that the check-in staff were almost resigned to this, and they mentioned that the airport had experienced this quite a lot. After waiting for a similar time for the second bag, we noticed that the queue of people behind us was getting restless. These people are not happy. They’ve all been stood in this queue for far too long at this point. 3 – After waiting even longer, we were told that the problem was due to a luggage belt breakdown. I asked whether the airport had done anything about the Swissport staff – who had been effectively striking by calling in sick in large groups. This had caused numerous problems at the airport and we’d arrived earlier just because of this, only to be waiting for so long that we were now becoming late. The Thomas Cook staff stated that delays were now become all-too common. We asked if we could talk to someone, and my wife was told that the Swissport desk, situated in front of the Thomas Cook desks, would be the best place. 4 – The Swissport member of staff was dismissive, giving my wife an utterly reprehensible attitude and a disgusting stand-offish response about how it “wasn’t anything to do with me”. Both staff seemed to hide in the back of their area. 5 – My wife eventually managed to get hold of the manager of the airport. 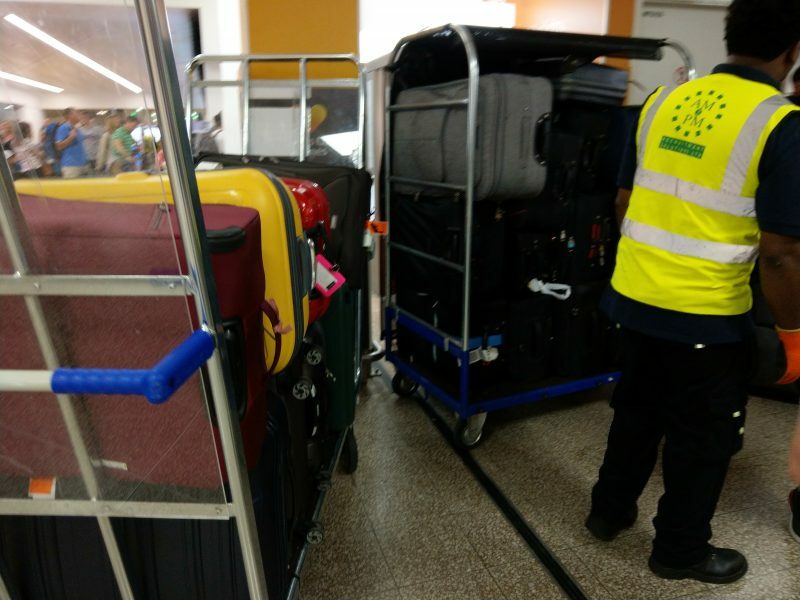 We were now about to miss our flight, and we’d only got one bag onto the luggage belt – the second was still sat on the scales, as was a great deal of others. 6 – Only after airport staff were made aware (by us) did things change. An announcement was made apologising for the delay, and staff appeared to manually hurl our suitcases into cages. These didn’t seem to be Swissport staff and were quickly surrounded by holidaymakers wanting to hand over their bags and get to the planes. 7 – After hearing how the Swissport staff member had spoken to my wife, I went over to discuss things. The guy there, who quickly vanished into the back after speaking to me, simply said, “That’s nothing to do with us, don’t talk to us, nothing to do with us, nothing to do with us”. He did not answer my query about how he’d spoken to my wife. Here’s our bags, after over an hour waiting, finally going into a cage. 8 – Our bags eventually got put into the cages and we ran to the continually overloaded security area at BHX. This was queued out into the main food area of the airport and we were now just minutes from the departure time. 9 – By the time we got through security, we checked screens and found that the gate was “Opening soon”. This didn’t seem to make sense, but after waiting for a lot longer, this message continued to be displayed. It was only after asking staff at the gate that we found that the outbound flight was heavily delayed. This delay information was not relayed onto any of the screens at the airport. 10 – By the time we landed, we were nearly 2 hours delayed. We arrived too late to eat and our taxi cost more because we had to pay night-rate. I understand that friendly staff at the check in desk and the service they offer is an important part of your holiday because it’s an exciting time and they can make our experience extra special. There are normally over 200 customers who use the standard check in desk on each flight. It’s so important to us to make sure you get excellent customer experience so I want to let you know that I have also sent all of your comments to our airline team so they can look into the issues you experienced to make sure we improve the quality standards and the customer experience for the future. This, in my mind, isn’t really a response. It simply states, “Yeah, you should expect good service. We’ve forwarded this on”. That’s not really good enough … but wait… when we tried to board our return flight back to Birmingham, this happened..
1 – We got to the airport with plenty of time and every sign in the airport showed that it was operating normally. We were checked in by the Larnaca staff in literally two minutes. No mention of a delay was mentioned. 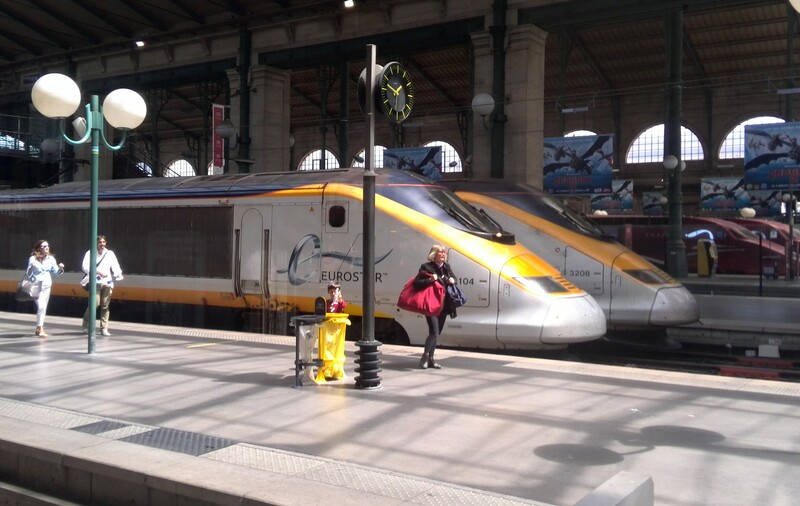 2 – However, it was only after I checked the location of the incoming flight (I knew we were going to board the plane that was coming from Birmingham) that I spotted it was still over France. We were in Larnaca, and … well, that’s at least 3 hours away from where we were. 3 – I asked Thomas Cook on Twitter. It was only at this point that we found another massive delay on the return flight. 4 – No information appeared on any of the boards about the delay. Even the airport staff knew nothing about it. Why this is, I really don’t know. It was only when we actually got onto the flight that the captain on the flight explained and apologised. He said that, yet again, the massive delay was due to the baggage failures at BHX. The fact is that the plane (MT1414) that had just come to Larnaca was massively delayed and didn’t take off on time due to the fact that BHX couldn’t act as an airport should. It didn’t take off until after 4.30pm today and the knock on effect is that the return trip on MT1415 was now two hours delayed. Birmingham airport have responded to me, but they’re basically telling me to complain to the airlines. They’re the ones employing Swissport (the luggage handlers) and they’re the ones who have caused such problems at Birmingham Airport. 5 – When we landed, despite it now being nearly 2AM (far later than planned) we had to wait around 40 minutes for the lazy Swissport staff to actually unload the plane and put the luggage onto the belts in the arrivals lounge. Due to the flight delay and the Swissport delays, our taxi driver had to wait, and this again meant that we had to pay more money. I’ve had to wait so, so long for Thomas Cook AIrlines to get back to me on this one. Since they said “we’ll pass your comments on” I’ve heard absolutely nothing. The airport apologised, and stated that they’re drafting in temporary staff to fill the holes in the Swissport mess (they’re not responsible for them) and Swissport haven’t bothered to even acknowledge my comments. All in all, it’s a crap experience. The start and end of our holiday was properly stuffed up by Thomas Cook and the contractors they’d chosen to use. Copyright © 2019 Cup Of Coffee. All Rights Reserved. Designed by bavotasan.com.